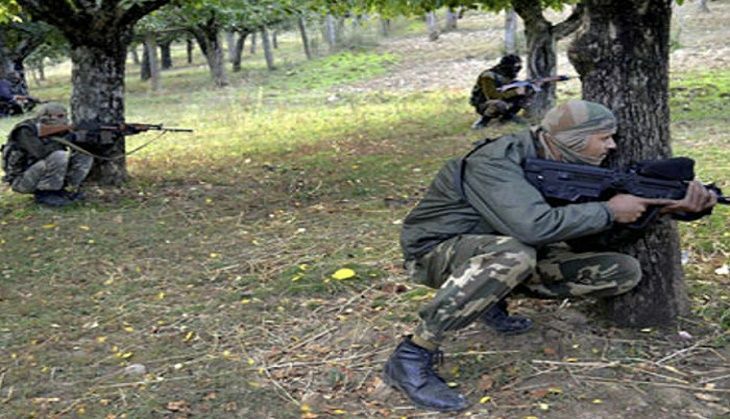 A fierce gun battle is going on between security forces and a terrorist in Jammu and Kashmir's Pulwama district. Two terrorists were gunned down by the security forces while two to three militants are believed to be holed-up inside a building. The encounter began after security personnel launched a search operation in Malawara village on suspicion of the presence of a militant in the area. This comes a day after security forces arrested two Hizbul Mujahideen militants from Sopore area of Baramulla district. Acting on a tip-off, the Indian Army's 52 Rashtriya Rifles and Special Operations Group (SOG), Sopore, launched a massive search operation in Amargad area following which two militants, said to be Over Ground Workers (OGW) of Hizbul, were nabbed.